Santa Clarita has been the home to Jewelry World past twenty eight years. 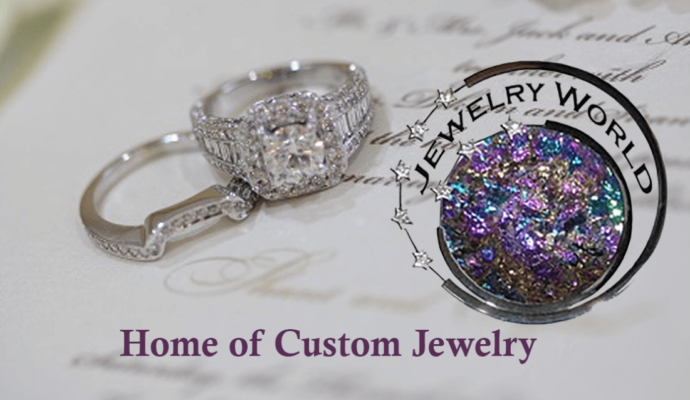 It has been a staple merchant offering custom jewelry to SCV residents along with complete repair services for all types of jewelry and watches. Jewelry World SCV also does ear piercings, and custom jewelry design. 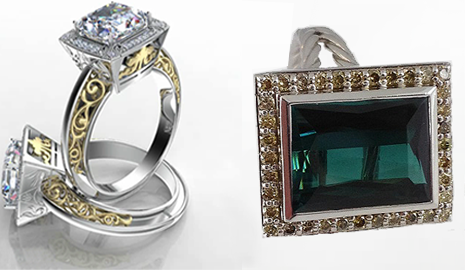 Here at Jewelry World, we pride ourselves on unprecedented personalized service at affordable prices. Jewelry World has a full-time master jeweler on the premises, and we ensure none of your items ever leave our store. We also have a master watchman that handles all repairs, and we can even change your watch batteries while you wait. If you can imagine it, we can make it. We work with our clients from the earliest stages, walking them through initial concept design all the way to the final production. We ensure our clients are involved in every step of the process, and strive to make sure they are always satisfied with the outcome. Creating custom jewelry not only lets us make truly one-of-a-kind pieces – it allows us to make use of old jewelry, reusing stones and diamonds that may have been tucked away for years. At Jewelry world, we strive to create the best customer experience possible. With our knowledge, experience, and one-on-one personalized service, we hope to be a member of the SCV family for many more years to come.